An interesting new chart shows us which of the 100 top (Alexa rank) websites accept Bitcoin as a payment/donation option. But what does this chart mean for bitcoin adoption? Let’s find out. According to the stats presented, 7 out of the top 100 websites accept bitcoin and 2 of them are probably already planning to do so in the near future. Let’s take a look at what those websites are, how they deal with Bitcoin and also how the came to the decision to accept it for payments and donations. (Listed by chronological order From the first that started accepting Bitcoin to the most recent). Both wordpress.com and wordpress.org websites hold a position in the top 100 Alexa rankings. However, it’s wordpress.com’s blog creation service that accepts Bitcoin payments for upgrades and premium plans. Even though wordpress.com can also be a free solution for everyone who is looking to create a blog or website, users can also buy upgrades or subscribe premium plans to get access to features like ad-free websites, custom themes and more. PayPal alone blocks access from over 60 countries, and many credit card companies have similar restrictions. Some are blocked for political reasons, some because of higher fraud rates, and some for other financial reasons. And so Bitcoin became one of the three payment options Worldpress accepts, along with Paypal and credit cards. They can, in fact, be considered one of the early adopters, as Bitcoin’s price was around 12$, and the userbase was certainly smaller back then. Reddit.com, the frontpage of the internet, started accepting Bitcoin during February 2014. Bitcoin was added as a payment option after many requests for a new payment option according to their blog. Before that users could only buy reddit “gold” with Paypal and Google wallet, and only residents of the USA and Canada were able to pay with credit card. Since that time, many users have actually created bots to allow other cryptocurrencies to be used when purchasing reddit gold. However, these tend to either use an exchange to transfer the funds into Bitcoin, or involve an individual that is purchasing the currencies from users in exchange for buying reddit gold for them. Both websites only accept Bitcoin (or Litecoin) for donations since they, as torrent file sharing websites, don’t sell any products or services directly to their users. However, they have a very supportive userbase, and receive significant donations. The Pirate Bay didn’t post any announcement about this but their public donation address received the first transaction on April 2013. Shortly after that, The Pirate Bay also started accepting Litecoin donations. Likewise, Kickass Torrents didn’t make an announcement about accepting Bitcoin donations. Instead, they just answered a question in their FAQ with a Bitcoin address. While there is no date listed to state when this question was answered, the first transaction to this address was sent on November 2013. Another thing that we can tell those two have in common is that they started accepting donations when Bitcoin’s price was on a peak price. It wasn’t THE peak of Bitcoin thus far, but we do know that somewhere around 10 April 2013 the price reached close to 230 USD, a record high price for the time, before dropping back down and starting a more steady climb. Of course, the true “high” for Bitcoin was reached in November 2013, when the price shot up to ~1150 dollars. This is another case that a website starts accepting Bitcoin out of the blue. Again there was no official announcement, but we have this reddit post from July 11 2014 telling us that Xhamster has started accepting bitcoin as a payment option. 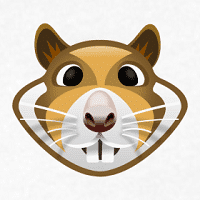 Xhamster is actually one of the most well known adult video websites in the world, and users can purchase premium access to the website, or buy tokens that can be spent in the live-stream section of the website with BTC. Last but not least comes the greatest of them all. The sixth most popular website on the web and also the biggest encyclopedia to ever exist. After it was widely requested, the foundation behind Wikipedia, Wikimedia, finally started accepting Bitcoin donations on July 30 2014. While it’s unclear what made Wikimedia delay this for so long, some light was shed on the case by a post they made in their official Facebook page. Taking into account recent guidance from the IRS, the Wikimedia Foundation has decided to accept the digital currency as part of its efforts to make donating as simple and inclusive as possible. 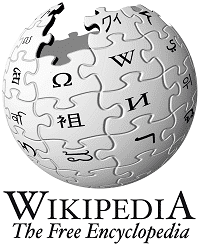 Large non-profit foundations, such as the Wikimedia, have to be very cautious before introducing new donation options to the public. Apparently donating to Wikipedia is not as easy as just forwarding a transaction to a public address, since all Bitcoin donators are asked to fill a form with their personal information and send their donation through Coinbase. However, even with that in place, we know from an official Coinbase report that donations to Wikimedia reached 237 bitcoins in just one week! What’s on the Horizon? Which Websites Will Accept Bitcoin Next? Rumors, from some sources that yet remain unclear, claim that the image hosting giant imgur will be adding Bitcoin as a payment option in the future. While their support replies have included responses have mentioned that bitcoin is being considered as a payment option, it’s uncertain when, and even if, they’re going to start accepting Bitcoin. Beyond just rumor, it’s also known that Rakuten, a Japanese electronic commerce and Internet company based in Tokyo, that is also expanding it’s services worldwide, is going to be accepting Bitcoin payments in the future. In Rakuten’s case, it’s CEO stated in a public speech that they will be accepting Bitcoin sooner or later. Hopefully it is sooner, rather than later.